Best friends, red wine and heavenly smells emanating from the oven. What else is missing for the perfect winter’s evening? Thanks to our dear friend Kyra Caruso you don’t have to dig out your old records. 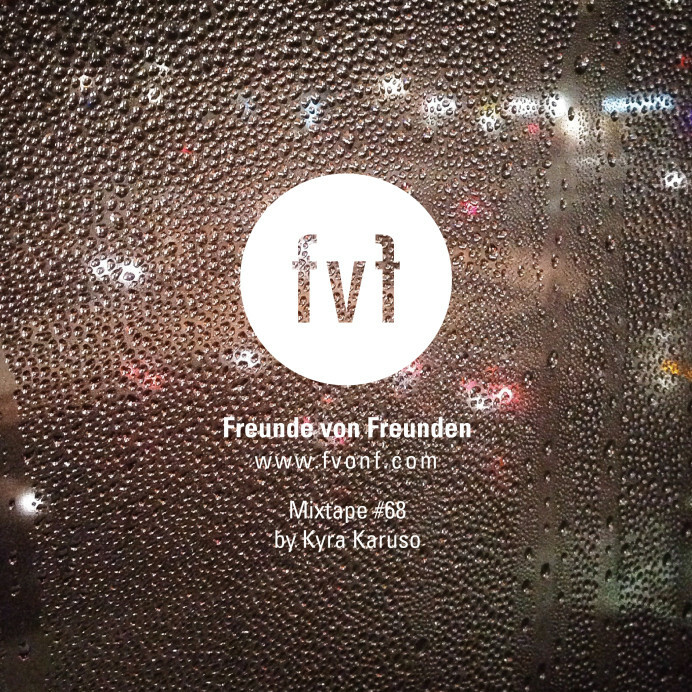 FvF’s Mixtape #68 is the best company you can have to start a little after work celebration. Always interested in different genres, Kyra is well known for putting together outstanding selections of tunes like carefully curated menus. Compiling her second mixtape for FvF she again proves her excellent musical taste that is next level. In this mix by the Mexican Austrian DJ, Pharell Williams dances with the trumpet sounds of “Sunny” in a version by Bobby Hebb & Ron Carter and Gloria Ann Taylor sits side by side beats by Sampha to keep you company during your cosy night in. Subscribe to our newsletter for receiving regular updates from the magazine and the entire FvF network.